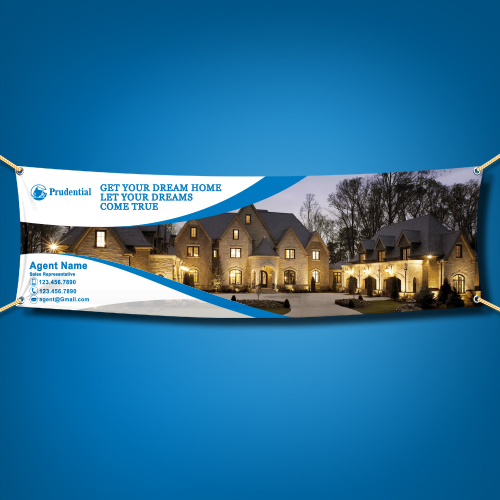 Real Estate vinyl banners are advertising tools that draw attention even from afar. Since they can hang high above other signage, custom vinyl banners are excellent marketing tools for real estate events and conferences. 20"x36", 30"x48", 30"x72", 30"x96", 30"x120", 30"x144"
Reinforce your banner with hems to boost its durability.